The colour alone is so sunny! After stopping at a friend’s house recently, I saw her box of meyer lemons on her counter and asked where she got them from. Turns out Costco sells 4lb boxes for under $8. 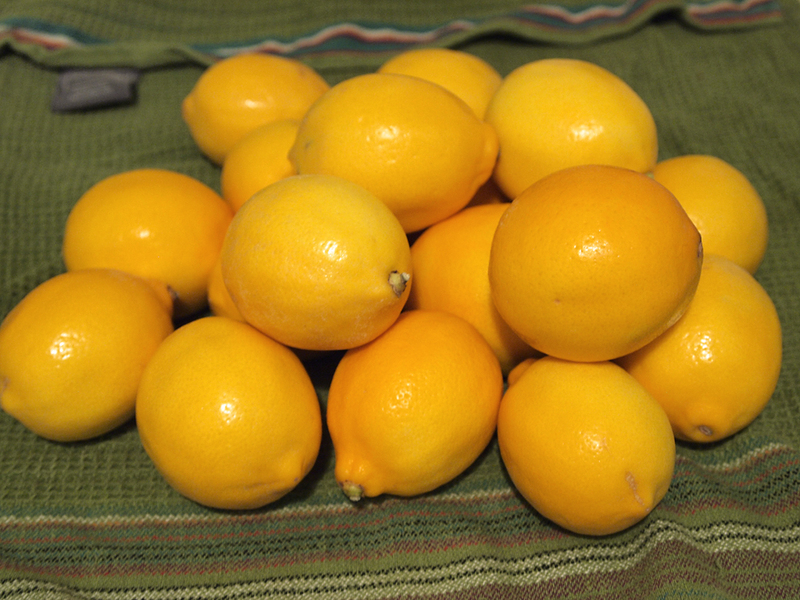 I rarely buy produce at Costco but the next time I went, I made sure to make a beeline for those lemons! 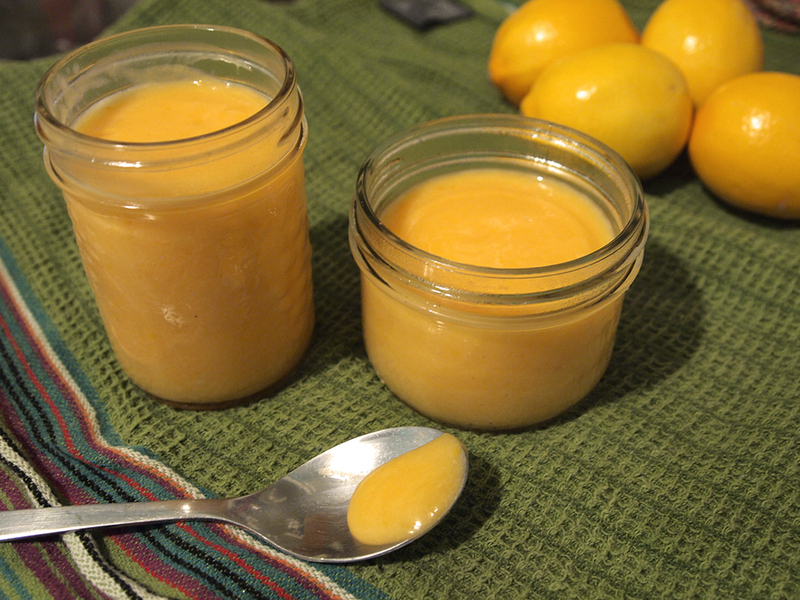 Lemon curd is possibly the most luscious, tangy and sweet spread out there. And with meyer lemons it adds an extra layer of uniqueness over other citrus. Made with eggs, butter and sugar, this treat is perfect for tarts, dipping in fruit or really just eating with a spoon! Use free-range organic eggs for an extra colour boost without having to add food colouring, the orange yolks lend to a deeper yellow in your curd. Categories Dessert, Make Yummy Food! We’ve had a surplus of eggplant lately and to get it all cooked up in one batch I decided to make baba ghanoush. Once upon a time, this was the only human food that my cat Milo would eat…weird. It’s a pretty easy endeavor, blacken up some eggplant, cook until it’s soft and blend it with some other delicious things. It’s not too involved but it makes for a tasty dip for veggies and flat bread or a yummy spread for sandwiches. It’s perfect for the low-carb diet as you can control what goes in and the bulk of it is eggplant!